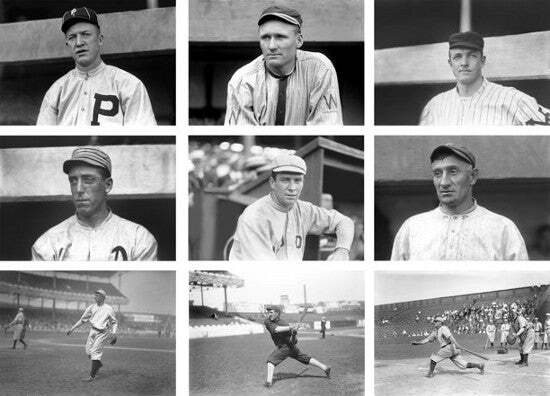 Legendary baseball photographer Charles M Conlon's photographic archive has sold for $1.7m at Heritage Auctions. While you may not recognise his name, if you're a baseball fan we can guarantee you'll know his work. Conlon's breathtaking action shots and candid portraits of baseball's biggest stars have helped stoke the mythos around America's national pastime. The work spans the period between 1904 and 1942 and shows iconic figures like Babe Ruth and Lou Gehrig in action. The auction house explained Conlon's extraordinary influence: "From imagery populating early Reach and Spalding guides to syndicated newspaper photography to iconic trading cards spanning the days of tobacco to bubble gum, the work of Conlon permeates the historical paper trail of the most glorious decades of baseball, almost always uncredited, the life's work of a man both anonymous and intimately familiar." The images have a draw well beyond simply documenting the sport. Heritage says: "We risk no hyperbole by filing his work under the heading of fine art, his deft eye and technological skill conspiring to create imagery that would strike no discordant note on a gallery wall beside Ansel Adams or Henri Cartier-Bresson." A 1916 M101 Babe Ruth rookie card made $717,000. The lot is one of six known examples of the blank back variety and is graded PSA NM 7.